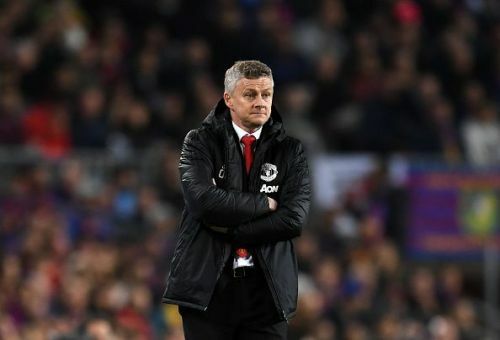 After failing to qualify for Champions League semi-final stages, Ole Gunnar Solskjaer told his squad members that he also wants to make an empire like FC Barcelona, who are now the favourites for this season's Champions League trophy. Last night, Manchester United faced a total humiliation against FC Barcelona as the English club failed to score a single time during a total 180 minutes of Champions League home and away leg. As a result, The Blaugrana knocked United out of this season's Champions League scenario. Under Sir Alex Ferguson, Man United last won the elite title back in 2008. Since then United have failed to lift Europe's major honour. After the match, Manchester United boss Ole Gunnar Solskjaer, who has been recently appointed as the permanent manager of the Red Devils, indicated that United could sign some big names during the approaching transfer period. The likes of Alexis Sanchez, Eric Bailly and Antonio Valencia is likely to be sold in the summer, while at least six new faces could be brought to Old Trafford, according to a few reports. “We know there's work to be done. I’ve said all along this isn't going to change overnight and the next few years are going to be massive to get to the level Barcelona and other teams are at." “We want to play these games again next year so we have a massive week coming up." Manchester United are likely to add a number of new faces during the upcoming transfer window. But, they need to qualify for next season's Champions League first. With that hope, United are going to take on Everton on Sunday in their next Premier League fixture at Goodison Park.